Most people go to Hollywood to get famous. Not Wally. He’s gone there just to disappear! Yes: Wally and his friends are in the land where dreams are made, and they’re hidden in every scene. With loads of screen sets, cityscapes and other places to hide out in, he and his friends are having heaps of fun! 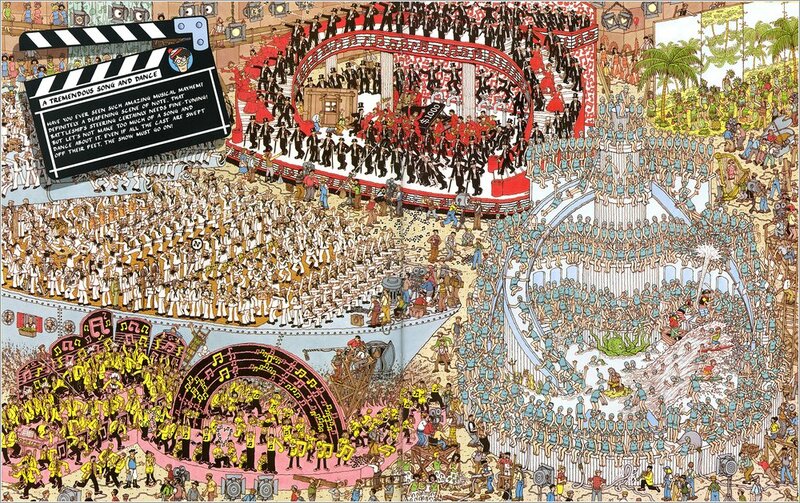 Sharpen your eyes and see if you can find them! It is another occupying book which keeps people enterained for hours on end. 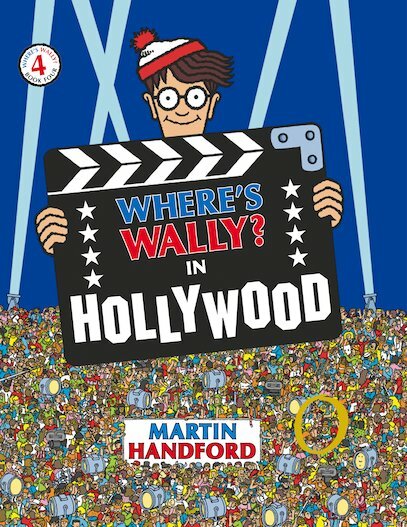 This book is quite easy except from the wally on the last page, I found him afer spending a night in bed looking for him. This book is amazing! THis book is really good and I love looking for wally in it!!! this book is very good because i have read it at school it’s just Hollywood so it’s Hollywood and it’s medium difficulty. dear god thank you for letting us have books and to be able to read amen!!!!!!!!!!!!!!!!!!!!!!!!!!!!!!!!!!!! I find this book catchy because you want to find out where he is or why he’s doin it seriously though you will love this book! this is a great book and its really adictive !!!!!!!!!!! its nice i think wow and OMG? I am waiting for this book to come as I have ordered it from my school book fair and from what I have seen I looks brilliant! this is the best book i have ever read it is the greatest puzzle ever!!!!!!!!!!!!!!!!!!!!!!!!!!!!!!!!!!!!!!!!!!!!!!!!!!!!!!!!!!!!!!!!!!!!!!!!!!!!!!!!!!!!!!!!!!!!!!!!! I would definatly recermend it to anyone it is absoloutly brilliant.